At Breakfast Club. 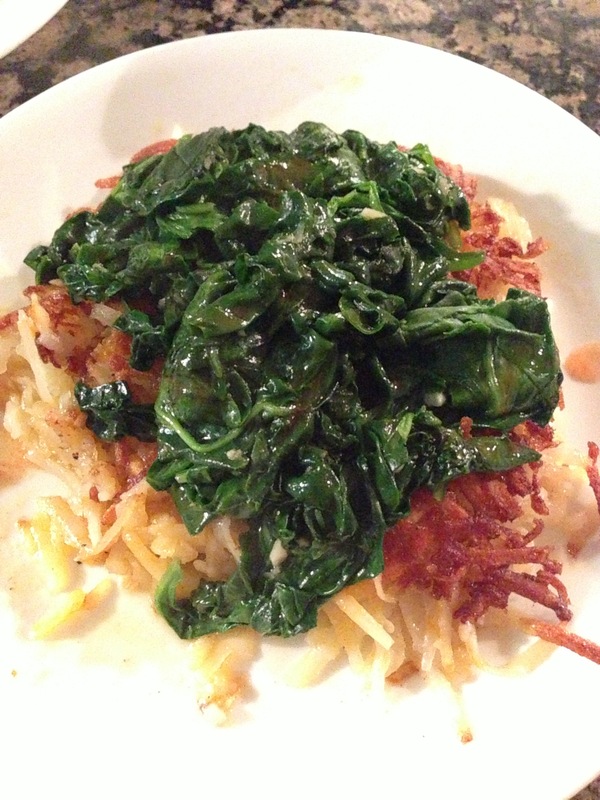 I take their sautéed garlic and spinach, put it on a half order of hash browns, and douse it with Tobasco. Good stuff.